In 1970, staff at a youth hostel (Connolly House) identified an upward trend of older homeless men requesting beds. Not able to help because of age restrictions, and finding no resources for these men to go to, application was made to the Federal Government under a youth initiative program to establish a 3-bed night-time only shelter in the area then known as Skid Row. As a result, the Lookout shelter was founded in 1971, having street patrols which picked up shelter-less people off the streets. It was quickly learned that these individuals, primarily the older chronic street alcoholics, required aid in sorting out their problems, accessing services and/or treatment and locating accommodation. Twenty-four hour service was rapidly implemented and the number of emergency beds increased over the years to the current level of 182 year round beds between our four shelters. Frequently identifying service gaps, particularly housing inadequacies, Lookout has, over the years, regularly collaborated with other community services to establish a number of specialized, unique resources. Mandated to respond to the needs of the community, Lookout developed into the safety net under all other services, catering to a wide variety of needs. When a person has nowhere else to go, they turn to Lookout. As services/resources became available or unavailable, the clientele of our service changed. With the deinstitutionalization of the mentally ill, Lookout found increasing numbers of psychiatrically disabled needing assistance. Currently the second largest number of people requesting service are those who are mentally ill.
Recognizing that emergency beds, although essential, are a band aid solution to homelessness, a long-term housing program was gradually implemented, starting in 1978. In 1981 we built our first purpose-built facility, housing both our original emergency shelter and adding new supportive long-term housing. The longer-stay housing was meant to be transitional, allowing people to stay longer to get their feet under them, and during this time, they would find permanent housing. Despite the increase in beds (shelter increased from 25 to 40 beds and the new 39-long stay units) we found ourselves turning away great numbers of people in both housing programs; homelessness seemed to be on the increase. Emergency stays lengthened as resources became harder to find. Lookout no longer could afford the luxury of holding beds open until 2 am for crisis situations. We could not move people from the tenancy program to other housing: it just did not exist. 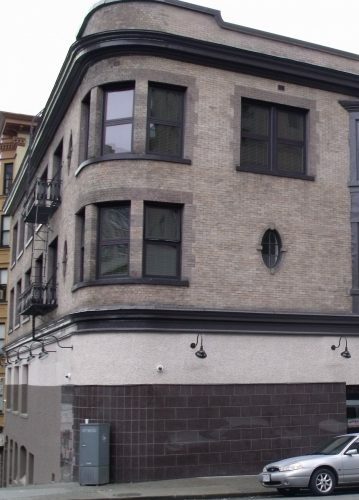 With few options available, and recognizing that some people need additional support before moving into permanent housing, Lookout purchased the Sakura So, a 37-housekeeping unit residence on Powell Street in 2001. One of the 2 commercial spaces contains an employment training program—H.A.V.E. Culinary Training Society—that provides a source of income while providing valuable skills to many of our clientele. In an attempt to open up emergency beds, staff moved people into surrounding hotel rooms, knowing that such housing was inadequate for most. As a result, a high number of people began returning to Lookout within weeks or months. To address this, in November 1990, the Outreach Program was implemented, and staff hired to follow shelter residents into the community. Outreach staff provide, for a short-term period, the necessary support and services which enable residents to maintain their independent housing. Case reviews found that for some individuals, long-term Outreach support was needed and Lookout developed this additional capacity to the short-term program in 1992. Our experience in the three programs offered (shelter, longer-stay & Outreach) found few of our clientele could access other housing because of their personal history. We also found people being forced to come into the area to access services as the shelter and housing offered by ourselves and other local providers were unique and supportive. Therefore, concurrent with developing Outreach, Lookout fought for shelters in areas where the homeless gathered, and to also develop permanent housing for those without housing options. In this, we also recognized that the seriously mentally ill were particularly unable to access housing, even when poverty was not a factor. Paper thin walls in local rooming houses were often a factor, and the eviction rate of the mentally ill resulted in the mentally ill being at highest risk of homelessness in the area. They were also a group who utilized our shelter on a higher percentage basis than any other user profile. Frequently abused, and without many supports, Lookout became determined to create services specifically for the mentally ill in the Downtown Eastside area, the new name of Skid Row. 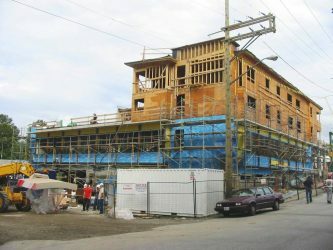 To prevent the evictions and to provide opportunity for the mentally ill to access psychiatric services, Lookout and two other services, Barry McArthur of St. James Community Services, and Ralph Buckley of Strathcona Mental Health spearheaded the creation of a drop in/activity center for the seriously mentally ill. 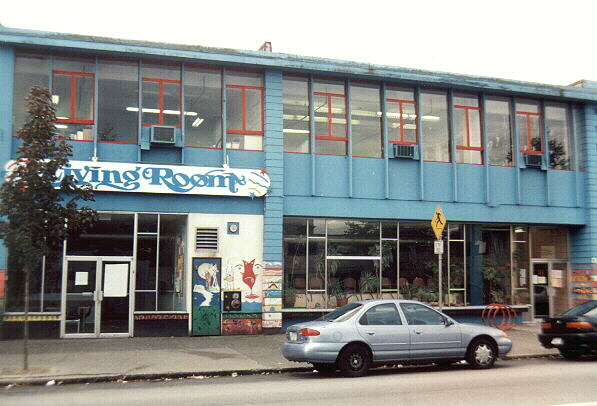 In 1993 we celebrated the opening of the LivingRoom Drop In Centre to provide safe hang-out space for people to use, as well as get involved in activities or treatment. The service was an immediate hit, with approximately 125 people using the facilities daily. 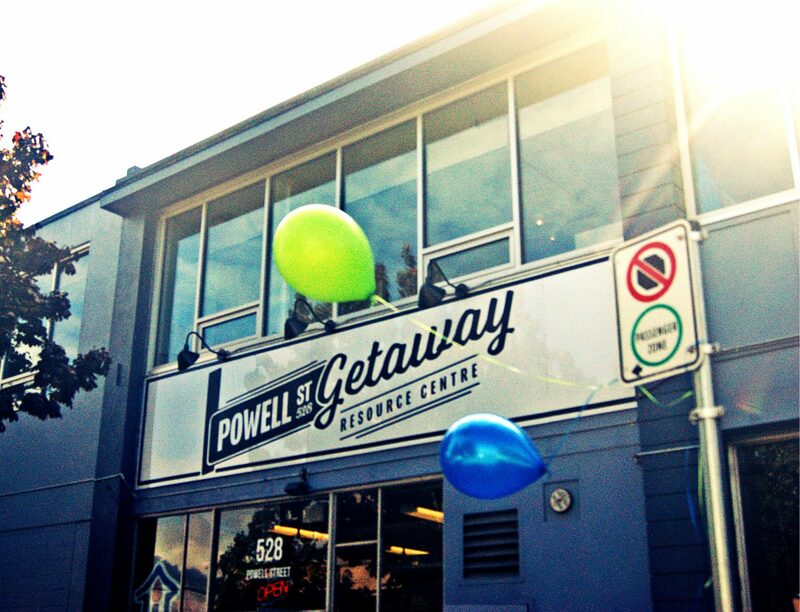 In October 2016 the LivingRoom was renamed the Powell Street Getaway, which now serves at a Vancouver Coastal Health funded Mental Health and Substance Use community resource center. 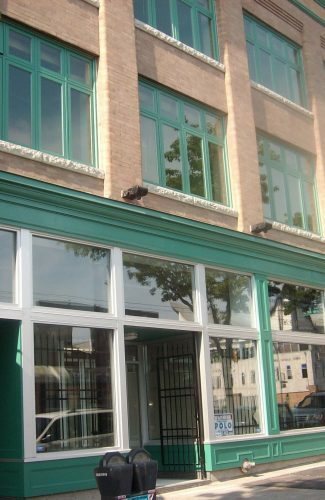 The Getaway offers a safe consumption site, peer-lead programs, meals, activities and supports for anyone who may need them. The expansion of services is designed to create the space as a ‘hub’ where many services are offered, with particular emphasis on supporting health referrals and outcomes. 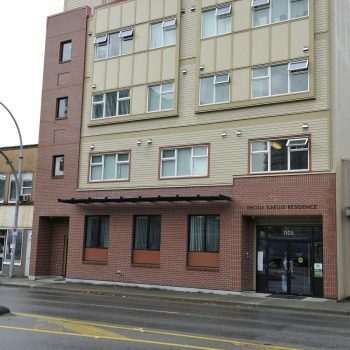 We actively refer people in need to the Connections Clinic, operated by Vancouver Coastal Health, which is across the street. Also in 1993, after successfully arguing that people with disabilities can live independently if the appropriate community supports are in place, Lookout celebrated the opening of the Jeffrey Ross Residence, a 37 suite apartment block (not care housing) that specifically targeted the disabled. Most of the residents moved from the tenancy program providing a mini continuum of housing within Lookout, better enabling us to match the needs of the people with our most suitable housing. Tenant selection was through volunteers from a number of neighborhood agencies, based on our criteria of housing local people who had few, if any housing options. As a result, we were able to move people with repeated housing crises into our longer-stay housing, while people needing housing with supports could be waitlisted for the permanent housing. The Jeffrey Ross naming honors a beloved manager of Lookout – Jeffrey loved the people, the work and was dedicated to creating permanent housing. We vowed to keep up the battle to create more permanent housing options. The Ross immediately had a huge waitlist, with minimal turnover, and our shelter continued to be in high demand, with some people being turned away without housing, to sleep in the streets as there were no other sheltering options for them. 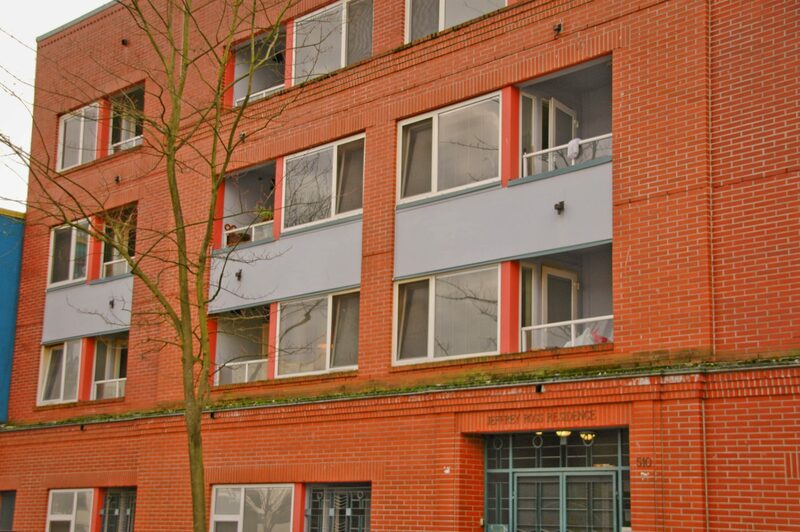 We were successful in gaining an allocation of housing units, and in April of 1996 we moved people in to the 67 suites of our new Jim Green Residence, the first social housing project in B.C. to particularly serve people who have a chronic history of homelessness. This apartment building also included one unit specifically designed as an emergency backup unit to the shelters in the area, particularly for the women’s shelters. This also included individuals in varying family configurations: Immigrant and refugee families, disabled homeless, as well as men and/or women fleeing violence, sometimes accompanied by children have been housed in this unique and extremely useful apartment. Lack of shelter continued to grow to crisis proportions and Lookout was determined to assist. During the late summer of 1995 a young, seriously ill man came into our shelter acutely ill from exposure. He died of pneumonia within 6 hours. This was the final straw in Lookout’s quest for another shelter, despite knowing that shelter beds were not the solution – the beds were critically needed as understood as band aids for first aid attendants. We actively initiated work towards a new shelter, co-located with secondary housing. In 1996 Lookout was able to open the first cold weather shelter in the lower mainland: thanks to the Real Estate Foundation of BC. This winter shelter opened each year while we worked collaboratively with other service providers to create a new shelter service in Vancouver, this time outside of the Downtown Eastside. In 2002 we were happy to open the Yukon Housing Centre, which provided 36 shelter beds, expandable to 56 (35 in 2005) by adding 20 beds during inclement weather. These shelter beds were matched by 37 transitional studio apartments. Lengths of stay in the studios are limited to 2–3 years, giving people with repeated housing crises a longer time to gain stability. The staff work with the residents to bridge into permanent housing that is affordable, and appropriate to meet their service needs. 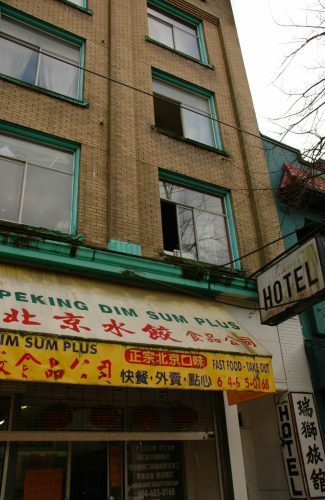 This development was the first shelter and housing with a flexible mandate to be established outside of the Downtown Eastside. It was immediately full and turning away people and our waitlists continued to soar. Located in the Mount Pleasant/False Creek area, First Place is a 12-storey high-rise with 129 units of permanent housing that opened in 2012. It is part of an innovative partnership between the City of Vancouver (provided the land), Province of BC (provided the funding) and Lookout who manages the building and provides assistance to the residents. Built to LEED Gold standards to reduce environmental impact, residents and staff follow “green” practices and use environmentally friendly products to maintain the standard. During the development of this new housing, we saw an influx of shelter-less people coming from outside Vancouver. Many came due to lack of flexible, supportive shelter and housing elsewhere. Others still chose to live outdoors rather than leave the community they called home. Our Outreach Team met many of these individuals, ranging from New Westminster, Burnaby, Richmond and the North Shore. Recognizing their connections to their own communities, Lookout campaigned in these communities to establish local resources for the homeless. Later known as the regional Cold Wet Weather Strategy (and now the Extreme Weather Strategy), the collaborative approach was successful in that both New Westminster and the North Shore asked Lookout to establish services locally. 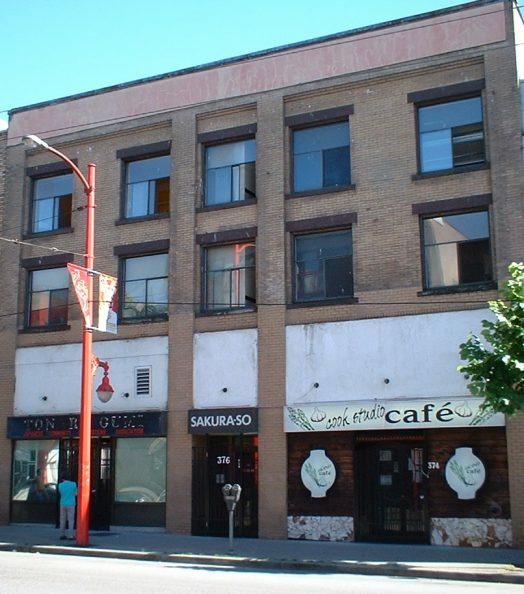 In 2001 Lookout was able to purchase a 23 unit heritage called Cliff House in New Westminster, renovate the building, and provide 16 transitional housing units and 7 permanent housing units. 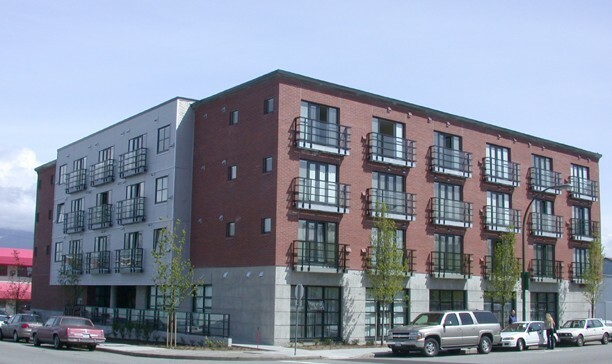 In 2011, Lookout opened our new purpose-built Rhoda Kaellis Residence with 11 transitional and 13 permanent housing units, using the Cliff as a model. 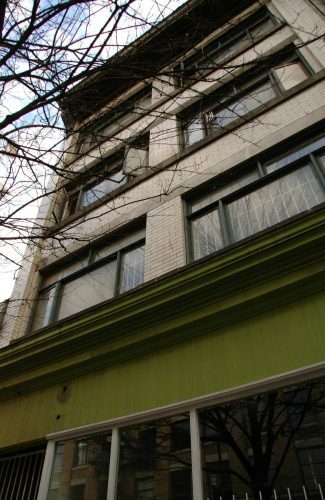 In 2012, Lookout assumed responsibility for the New Westminster Extreme Weather Shelter (EWS) by utilizing the unused basement at the Cliff Block. While the Lookout presence was developing in New Westminster, we were successful in gaining funding for a winter-only (cold wet/extreme weather) shelter on the North Shore, where no shelter had existed previously. The North Shore, a community thought of as well-off, had a number of homeless living in the streets. Lookout, in partnership with the North Shore Task Force on Homelessness, achieved funding to build a shelter and transitional housing service in the city of North Vancouver. This came to be only through the significant support of the City of North Vancouver and the personal dedication of Mayor Barbara Sharp. Overcoming many obstacles, and with funding primarily from the Federal Governments Homeless Initiative (Supported Communities Partnership Initiative – SCPI), Canada Mortgage and Housing, BC Housing as well as the City itself, 25 year round shelter beds were opened on January 7, 2005 followed by 25 studio transitional housing apartments being collocated and opened on April 6, 2005. The generosity of local service clubs, businesses, individuals, neighbors and the Squamish Nation helped overcome a number of hiccups that still limited the full operation of the shelter at July, 2005. Thanks to the generous support of the North Shore Mayor’s Golf Tournament, through the North Shore Community Foundation, a training kitchen was put into operation, with an employment program that provides all the meals for shelter guests while teaching valuable skills to people living in extreme poverty – now operated by HAVE, our Sakura So tenant. Despite providing the option of these shelter beds, Lookout remains committed to keeping shelter bed use to a minimum, by providing longer term housing. The solution to homelessness is affordable, appropriate homes. 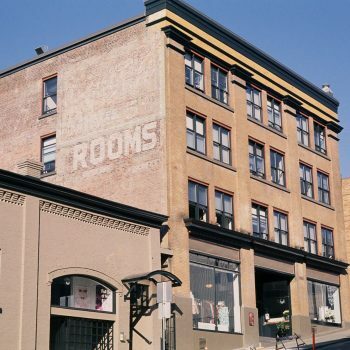 Under the Vancouver Agreement, Lookout began working with building owners and the city to improve the living conditions in Single Room Accommodation (SRA) hotels. The pilot project demonstrated that with good building management, incentives to upgrade/ improve hotel premises and support services for the residents, hotels can be a safer and healthier option where residents can achieve an improved quality of life. Lookout currently provides support to 35 units each at the Avalon, Cordova’s Residence and Lion Hotel. Another type of partnership exists with the owner of the Pender Residence where our Outreach staff are able to support shelter guests in a residential setting while they seek more appropriate long term housing options. Our Outreach team can also be called upon for crisis intervention and preventative problem solving o help resolve tenant issues and maintain a stable living environment. 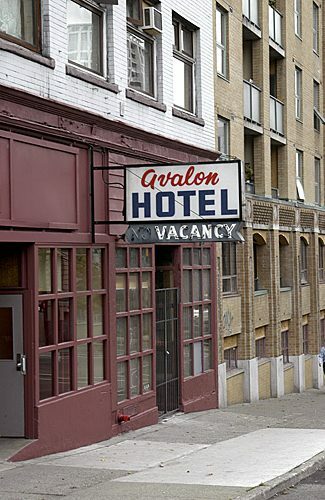 Beginning in 2007, the Province of BC purchased a number of Single Room Occupancy (SRO) hotels in order to preserve the affordable housing stock for low income people at a time of rapidly increasing property values. Lookout was selected to manage and provide support services for Walton Residence (48 rooms) and the Russell in New Westminster. We also manage Tamura House (105 units) while maintaining support services for 35 units, under a prior partnership agreement. Both the Walton and Russell have undergone extensive renovations; those at the Tamura are scheduled to begin in 2014. In 2014, Lookout merged with Keys: Housing and Health Solutions, a smaller agency that offered similar yet complimentary services in Surrey. The merger not only expanded Lookout geographically, it introduced a variety of programs that included health, youth and sober living – all that remain in operation with Lookout. 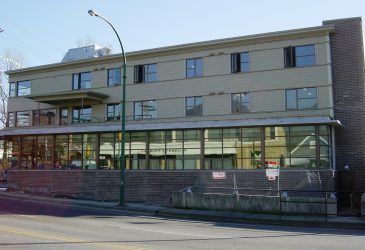 The Surrey Health Solutions encompasses a free medical clinic, non-profit dental clinic, an onsite six-unit low-cost housing facility, women specific programming, a high-protein supplemental food bank, a community garden and a support lounge for individuals living with HIV/AIDS, Hepatitis or other blood-borne diseases. 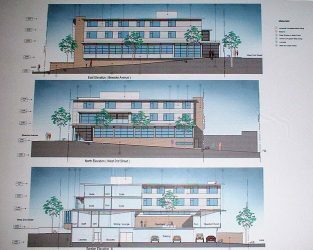 The Surrey Housing Solutions building offers a 24-hour drop in center and a year-round 40-bed emergency shelter as well as a meal program, a number of outreach teams and a 10-bed recovery residence for men. We also are partners with Centered Lifestyle Services, the Surrey School District and CKNW Orphans Fund in a counseling program for community-based mental health program for youth living in the Surrey Central area. Agreement with the Mission Community Training Garden which provides fresh produce for Lookouts numerous meal programs. Excess produce which we are not able to use is donated to a number of community partner organizations and local food banks. LivingRoom was renamed the Powell Street Getaway. This resource center now offers a broader range of programs, many peer-lead, which serve needs for people with mental health and/or substance use challenges. Opening two new emergency shelters in Surrey – Guildford, which allows couples to stay together, and Parkway. Parkway was originally intended as an extreme weather response (EWR) shelter during the especially cold and long winter, but due to a large and sustained need we were able to negotiate with our key partners and keep the space open as a new permanent shelter. Opening of Crawford Manor in Surrey. The Crawford program serves as a young adult stabilization and transitional housing program. It is a short-term program which identifies key issues, especially for youth with substance use issues, and creates plans with clinical supports and outcomes to help move people on to the next steps they need in housing and care planning. Completion of renovations at our Tamura House. 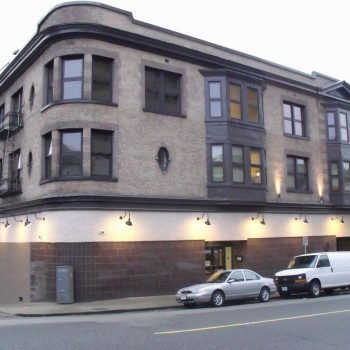 As part of BC Housing’s SRO Revitalization Initiative, the Tamura underwent extensive renovations for over two years. 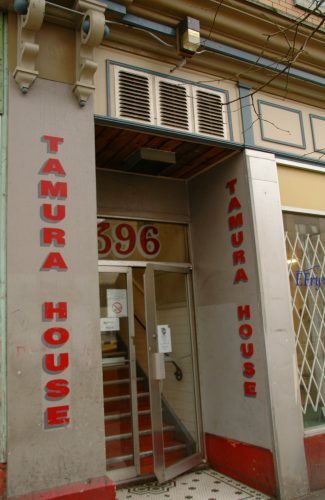 Now reopened, the Tamura serves as essential housing for people in need, with vastly improved appearance, safety, and comfort for people in the heart of Vancouver’s Downtown Eastside. Merger with Mood Disorders of British Columbia (MDABC). 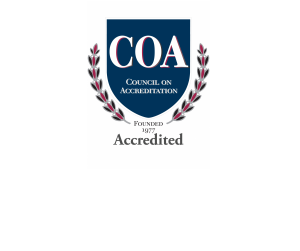 We are pleased to announce that on June 28, 2017 Lookout Society and Mood Disorders Association of British Columbia (MDABC) finalized approvals to merge the two societies. 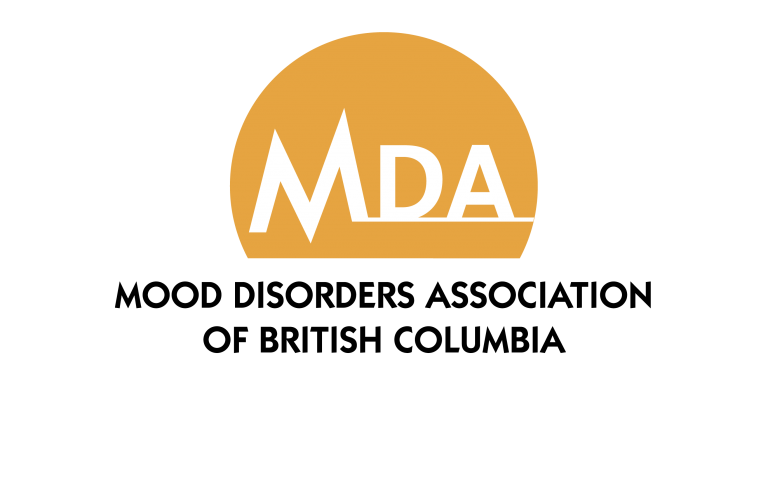 As part of this amalgamation, MDABC will retain its name and brand as a collection of mental health programs to the Lookout Society. 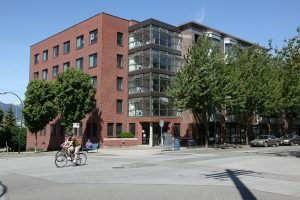 Supervised Consumption Services at The Harbour (941 Pandora Avenue) officially opened in Victoria on June 18, 2018. In partnership with Island Health, Lookout Society harm reduction staff provide supervision and education to ensure safer drug consumption, deliver crisis intervention and manage harm reduction supplies. SOLID Outreach Society’s team of peer harm reduction workers provide supervision and education as well as support and advocacy. In addition to Island Health clinical staff, paramedics from BC Emergency Health Services are on site, providing clinical expertise in support of the supervised consumption teams. 160 units of temporary modular housing across three sites in Surrey opened on June 19, 2018. Operated by Lookout Society, each unit includes secure, individual rooms with private bathrooms. Residents have access to meal programs, counselling and medical offices, 24/7 staffing, and life and employment skills programming. The three buildings are located at 10662 King George Boulevard, 13550 105 Avenue and 3425-107A Avenue in Surrey. Fraser Health and Lookout Society are also operating an intensive case management team to assist those facing significant challenges with health, mental health, substance use, poverty, education and housing, by connecting them to support services and treatment. Lookout Society’s new mixed income affordable housing resource, Belcourt Residence, opened in July. 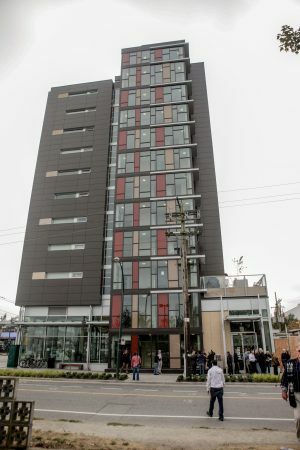 Located at 947 East Hastings Street in the vibrant Vancouver community of Strathcona, Belcourt Residence is part of a newly-built 400 unit affordable housing resource delivered through the City of Vancouver’s Housing Strategy. 70 of these mixed income housing units (centre tower), will be managed by Lookout and are comprised of studio, one and two bedroom units.